On December 3, 1658, Plymouth Court ordered that any boat carrying Quakers to Sandwich be seized to prevent the religious heretics from landing. A year earlier, Quakers in Sandwich had established the first Friends’ Meeting in the New World. Magistrates in both Plymouth and Massachusetts Bay colonies were alarmed by Quaker teachings that individuals could receive direct personal revelations from God. To protect orthodox Puritanism, the courts passed a series of laws forbidding residents from housing Quakers. Quakers themselves were threatened with whipping, arrest, imprisonment, banishment, or death. But driven by conscience, some Quakers repeatedly returned to Massachusetts to preach; four of them, including Mary Dyer, went to the gallows before a shocked King Charles ordered an end to the hanging of Quakers in 1661. Quakers and Puritans traced their roots to the same religious turmoil in England. Both groups were dissenters who objected to the Church of England’s rituals, dogma, and hierarchy. But Quakers took their reforms beyond what Puritans considered acceptable. Quakers believed an individual could experience the direct revelation of Christ; they rejected ordained ministers and traditional forms of worship. When the first Quakers arrived in Boston in 1656, they received a chilly welcome. To the Puritans of Massachusetts Bay, Quaker teachings were not just heretical but a direct threat to the authority of the magistrates who governed the colony. Quakers placed the demands of their conscience above the dictates of human authority. In the eyes of colonial officials, this “contempt of the magistracy” made Quakers “instruments of the devil” who sowed seeds of social discord, sedition, and anarchy. The authorities took immediate steps to suppress Quakerism. 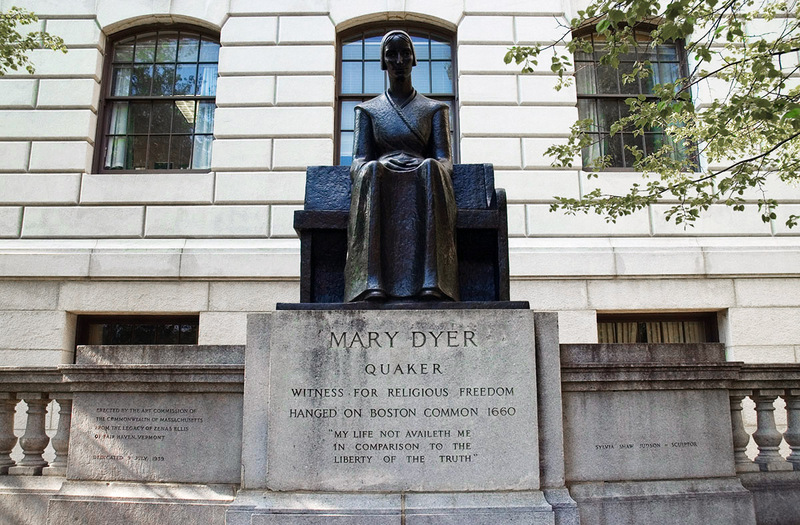 On June 1, 1660, Quaker Mary Dyer was taken to the gallows. Her husband pleaded for her life, but she herself refused to repent. 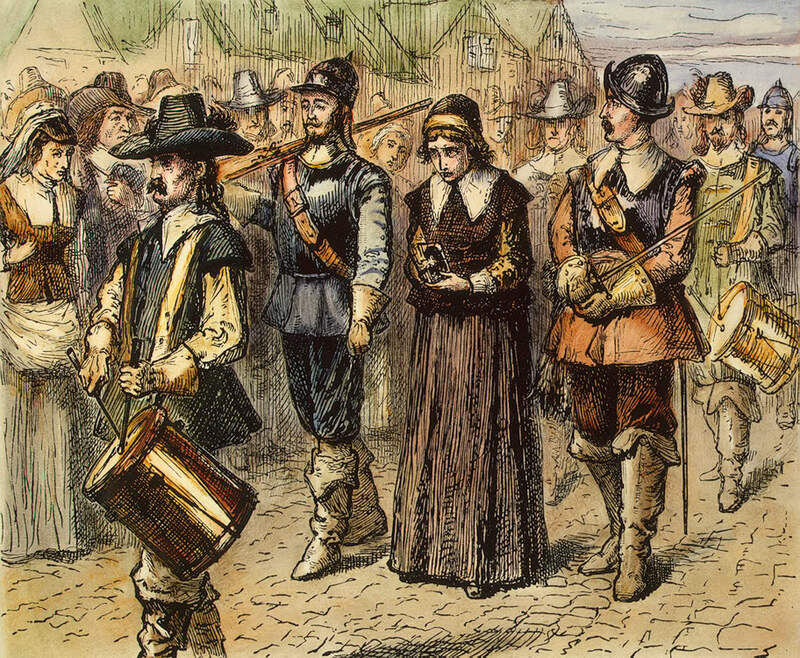 The execution of Mary Dyer and the other Quakers so appalled King Charles II that he ordered an end to the death penalty for Quakers in all his colonies. 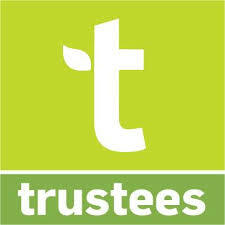 By 1677 members of the Society of Friends were free to hold regular meetings. Three centuries after Mary Dyer’s martyrdom, a descendant left a bequest that paid for Sylvia Shaw Judson, a Quaker woman herself, to produce a life-size bronze statue of Mary Dyer. In 1959 the statue was erected on the west lawn of the Massachusetts State House, where it stands today. The Quakers in America, by Thomas D. Hamm (Columbia University Press, 2003). A bronze statue of Dyer by Quaker sculptor Sylvia Shaw Judson stands in front of the Massachusetts State House in Boston. I strongly suspect one of my Danforth relatives, William, was shunned by the rest of the family of Puritan relatives as i am unable to find much information on him. He married several times. His birthdate may be 1641, 1652 or other. 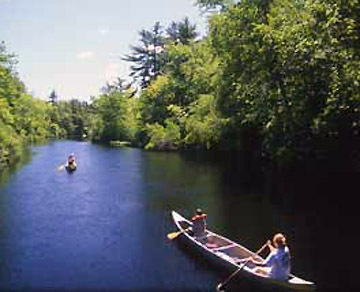 He was in Newbury, MA around 1670 and his son, Samuel, b. 1683, found in New Jersey became a regular and was married there per Quaker Meeting House records. Always sensed big family shame carried through many years in this branch of my family. I wrote you a long reply re: William Danforth but for some reason it did not post. I’d like to chat with you re our mutual ancestor. If interested, please contact me at mostlundwood@gmail.com. I have an alternate theory for why there may have been a big family shame, as you stated. So fascinating to try to understand the past…. Dyer had probably heard Peter Shaw, the Antinomian. in St Michael’s Crooked Lane London years before. Her husband had been apprenticed there. I will be posting something about it next month. One of my eight times great-grandfathers, James Pemberton, was a Quaker. I guess Quakers as well as Catholics were both unwelcome in the 1600s.